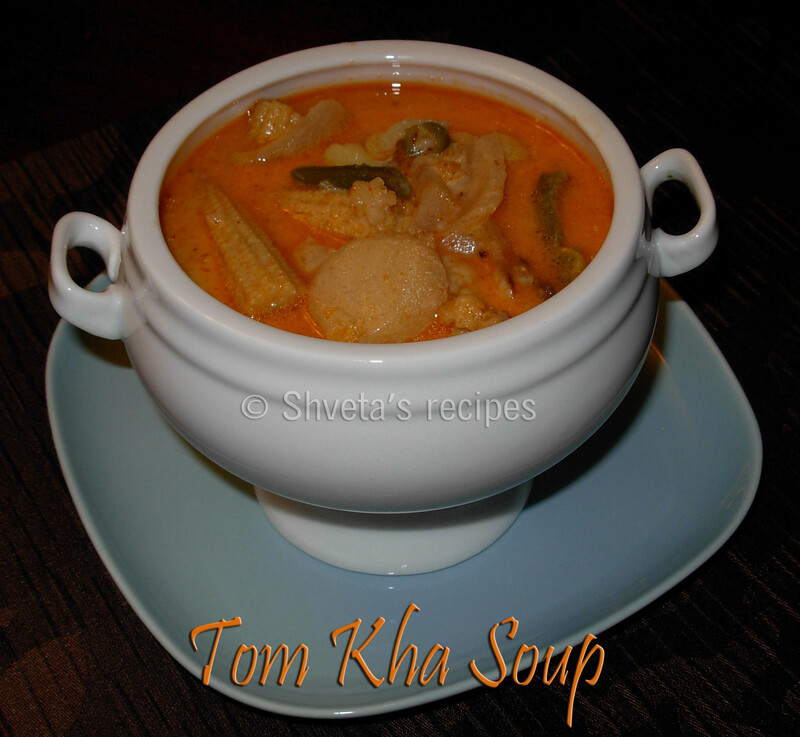 Tom kha soup is one of the most commonly served Thai vegetarian soup. This soup is very nutritious and flavorful. It has galangal and lemongrass as main ingredients which has great medicinal values too. Note: ginger can be substituted as galangal, but the flavors are different. 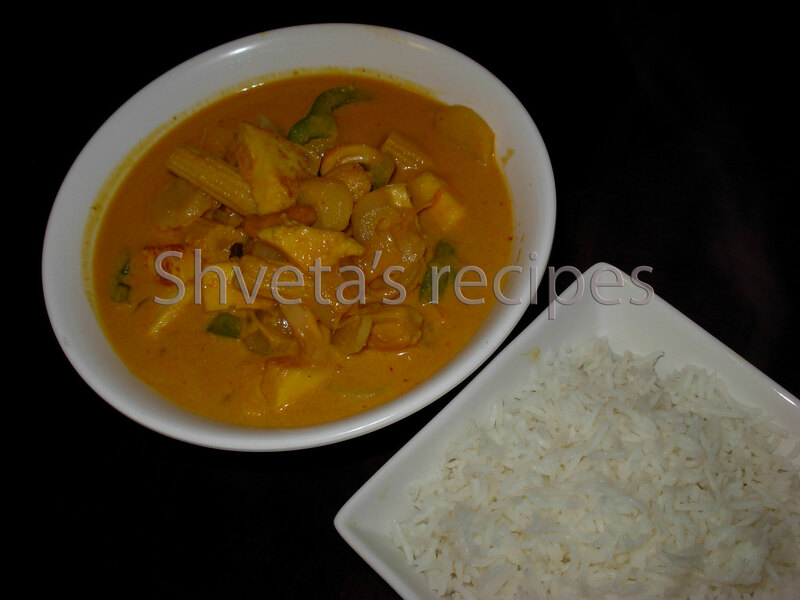 In a big pot, add vegetable stock and coconut milk and boil. Add lemongrass, galangal, chilies, sugar and pepper. In a pan, heat oil. On high heat, Sauté all the vegetables for couple of minutes except bean sprouts. Add these vegetables to the coconut milk pot and keep boiling for 5 minutes. Add lime juice, soy sauce and salt. Stir well. Garnish with freshly chopped cilantro and chilies. Serve hot before meal.